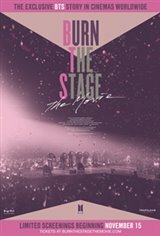 This movie is a beautifully woven documentary that gives you a behind the scenes look at what it means to be a K-Pop Idol of BTS. The hard work and dedication it has taken to become a successful world-wide group is astounding. You will laugh at their antics. You will tear up when they express their desire to do even better. You will want to watch it again immediately after it finishes. Amazing! I love it so much!!! Remember to bring a tissue box if you are an emotional one!! It’s bts, so it obviously gets 5. Can’t wait to cry, laugh, and die in the theatre???? I can't wait to spend all my money on the Boys Army for life!!! !